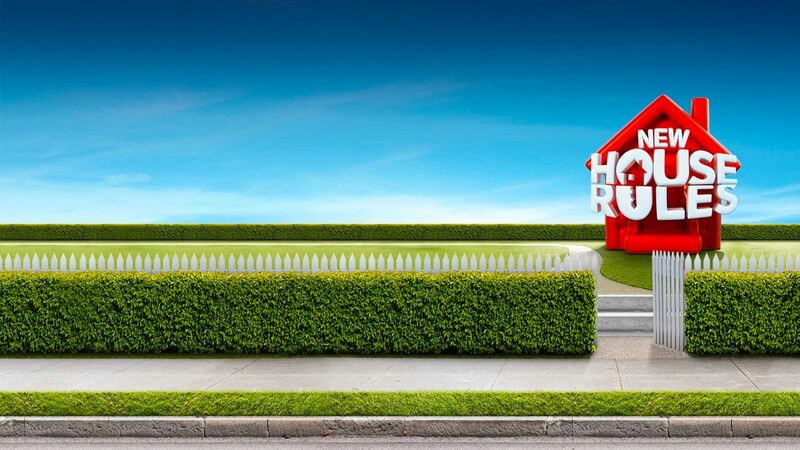 Here's where to watch every episode of House Rules season 1. Mouseover or tap an episode to see where to stream it. Click or tap the play icon to stream it on the best available service. Episode 1 - WA Transformation May 14, 2013 Six Aussie teams put their homes on the line and skills to the test in a fight for renovation supremacy and a life-changing prize. Episode 2 May 15, 2013 With only four days and eight hours remaining to transform Jemma and Ben's home, the teams are reeling from yesterday's shock discovery. As they face an uphill battle to finish their zone, there are surprises around every corner. Episode 3 May 16, 2013 Teams have just two days left to complete Jemma and Ben's home renovation. With the clock ticking, pressure is mounting and it's a mad scramble as teams rush to finish their zones. Episode 4 - WA - Jemma and Ben's House Reveal May 20, 2013 There's just four hours to go in the Western Australian makeover and rooms are beginning to take shape. However, Amy and Sean hit a major road block and team Tassie are in all sorts of strife. As the clock counts down, it's a mad scramble as the teams dash to the finish line. But the real moment of truth will be when Jemma and Ben see their transformed home for the very first time. Episode 5 - TAS Transformation May 21, 2013 Tasmanian couple Jane and Plinio are next to hand over their keys tonight. The pair will be kept away from their home for seven days and when they return it will be completely transformed. The teams ranked highest and lowest from the first renovation find out their fate, and what lurks behind Jane and Plinio's door will shock everyone. Episode 6 May 22, 2013 In a race against the clock, teams will do anything to stay ahead. With a shortage of cornice in Tasmania, it's first in best dressed. The competition goes into overdrive as everyone starts scrambling to get what they need. As the deadline looms, tempers start to flare. Meanwhile, an injury could force one team out of the competition. Episode 7 May 23, 2013 With less than three days remaining to transform their zones before the big reveal to Tasmanian couple Jane and Plinio, the teams are up against it. Managing budgets has become as difficult as teams managing their time and everyone is feeling the pinch. Teams are divided even amongst themselves and as the competition reaches fevers pitch, everyone slides out of control. Episode 8 - TAS - Jane and Plinio's House Reveal May 27, 2013 It's the final hours of the week-long challenge in Tasmania and the judges and homeowners will be arriving soon to inspect the teams'labour of love. But will all teams actually finish their rooms? Team NSW are in trouble with wallpaper issues, while first-time House Rules renovators and last week's home owners, Jemma and Ben from WA, are facing a last-minute crisis. It's a crazy dash to the finish line. Episode 9 - VIC Transformation May 28, 2013 Victorian brothers Nick and Chris are next to hand over the keys to their house. They'll enjoy a seven-day break from renovating while their competitors attempt to deliver them the home they're dreaming of. But with some teams appearing to ignore the House Rules, the boys'nervousness seems to be warranted. Episode 10 May 29, 2013 While teams set their visions for Nick and Chris's Melbourne home yesterday, some plans start to unravel causing tempers to flare. The teams are really starting to step it up but a turf war could push one team to breaking point. Meanwhile, another team receives some disturbing news from their supplier. Episode 11 May 30, 2013 In Victoria, the House Rules teams have just over two days left to transform Nick and Chris's 1950s bungalow into a rocking bachelor pad. As the teams arrive for work, Leighton has turned up alone after an explosive argument with Carly last night. Teams are each putting their own interpretation of 'taking a risk'. But one team's risk taking becomes their worst nightmare. Episode 12 - VIC - Nick and Chris' House Reveal Jun 3, 2013 It's been a nervous week for young brothers Nick and Chris who've been concerned about the state of their house - in particular what styles the older teams might have introduced to their bachelor pad. But before they can inspect, the teams still have five hours to go on the clock - and one team needs every second. Despite pulling an all-nighter, they are seriously behind schedule and could become the first team to fail to finish their zone. Episode 13 - SA Transformation Jun 4, 2013 t's time for the teams to move across to South Australia as it's Leighton's turn to sit back and try to relax as the teams tackle his precious sandstone house in Adelaide. Leighton and Carly have some very specific ideas on what they want and Leighton's critical eye and industry knowledge have a lot of teams worried about satisfying this pair. The teams will have to work together like never before, but some teams seem to forget the big picture as fights erupt over zone borders. Episode 14 Jun 5, 2013 In Adelaide, some teams continue to disagree over the all-important flow of Carly and Leighton's house as they fight for precious space. Team WA runs into budget issues once again, while Michelle finds an invaluable way to save time shopping. Episode 15 Jun 6, 2013 It's the final two days of the SA renovation and teams are at breaking point. Team NSW is in trouble after building a wall in the wrong spot, while there's a battle over tilers between teams QLD and VIC. Episode 16 - SA - Carly and Leighton's House Reveal Jun 10, 2013 All the teams are frantically trying to finish their zones ahead of Carly and Leighton's inspection. With high expectations and industry knowledge, everyone knows tradie Leighton will be a hard marker. Episode 17 - QLD Transformation Jun 11, 2013 Tonight House Rules heads to Queensland as Amy and Sean move out while the other teams move in to renovate. Episode 18 Jun 12, 2013 Team Tassie is struggling with how to overcome a flood zone. Jemma is on a mission to track down the history of the house after finding some old negatives in the walls during demolition. Episode 19 Jun 13, 2013 The renovating at Amy and Sean's home comes to a standstill tonight when their raised Queenslander struggles to cope with the number of people working inside. Building supervisor Chester shuts down the site while engineers carry out a safety inspection. With teams already behind schedule, the delay has many worried they won't finish their renovations this week. Meanwhile, all the teams are bickering just to add further chaos. Episode 20 - QLD - Amy and Sean's House Reveal Jun 17, 2013 It's the final day of the Brisbane makeover and everyone is frantically trying to finish their zones ahead of Amy and Sean's inspection. The competition heats up a notch with teams sizing up each other's renos in a bid to impress the homeowners and judges. Jemma and Ben are dealt a major blow and Nick and Chris's spare bedroom has teams talking. Episode 21 - NSW Transformation Jun 18, 2013 Riddled with rats, ants, termites, a possum and asbestos, Michelle and Steve's 1950's weatherboard house is a ticking time bomb. Building supervisor Chester shuts down the hazardous site and teams are evacuated as the asbestos is removed. Taking an entire day out of their schedule for the asbestos removal, the teams are way behind. Finally able to get back on site, contestants are faced with yet another problem: with all the walls stripped bare of the asbestos, the house has massive structural damage. The renovation has never been this challenging or teams this far behind. The teams are in big trouble. Episode 22 Jun 19, 2013 While teams try hard to make up for lost time, anxiety rules the day. Everyone is strapped for time and being a day behind schedule, the contestants are ruled by stress. Jane has a meltdown when reminded about her deadline, Carly and Leighton finally work as a unified front and Chris seeks advice from the girls about what romantic means. Meanwhile, some teams switch up their roles with Jemma taking to the power tools and Plinio going shopping. Episode 23 Jun 20, 2013 t's the final two days of the New South Wales renovation and some teams are at breaking point. It's their toughest renovation yet with several teams showing signs they may fail to finish their zone on time. One team works late into the night, but still can't get started on their painting - leaving their zone drastically behind schedule. As the final hours draw nearer, teams are in a mad panic to finish. Episode 25 - Another Team eliminated Jun 25, 2013 After six gruelling week long full house renovations, the teams are all sweating on the final scores. Episode 26 - Semi-Finals Part I Jun 26, 2013 After six gruelling week long full house renovations, the teams are all sweating on the final scores. Episode 27 - Semi-Finals Part II Jun 30, 2013 After six gruelling week long full house renovations, the teams are all sweating on the final scores. Episode 28 - Finale & Winner Announced Jul 1, 2013 In tonight's grand final, the teams are all sweating on the final scores after six gruelling house renovations. Tonight they'll find out which team will have their mortgage paid off.